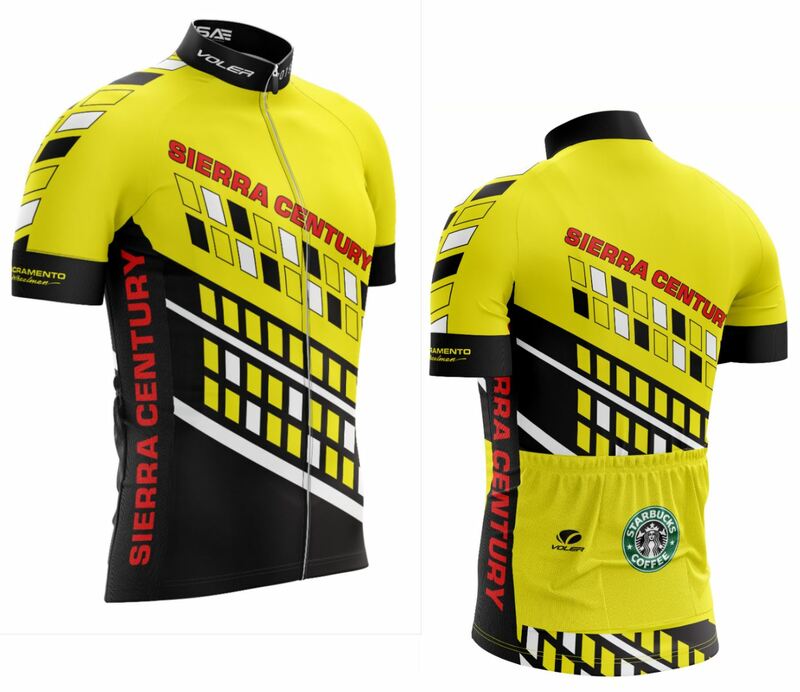 This year the Sierra Century invites you to choose an adventure between two routes (37 and 65 miles) through the beautiful rolling oak woodland and pine forests of Amador County, including the historic Gold Rush towns of Ione, Sutter Creek, Volcano, and Fiddletown. We refer to these routes as adventures because this largely undeveloped country is highly scenic and uniquely historic, the roads are in fair condition with little and often no traffic, and the routes have a wide variety of terrain. Both routes have significant climbing as well as exhilarating descents. If you are looking for routes that are flat or mostly flat, this event is not for you. There are no staged starts and no means are provided for timing individual riders. Registration is now open both online at BikeReg.com and by mail. To register by mail, print the registration form available through the appropriate link on the Registration Page, complete the form and mail it to the address indicated. For more registration details, go to the Registration Page. 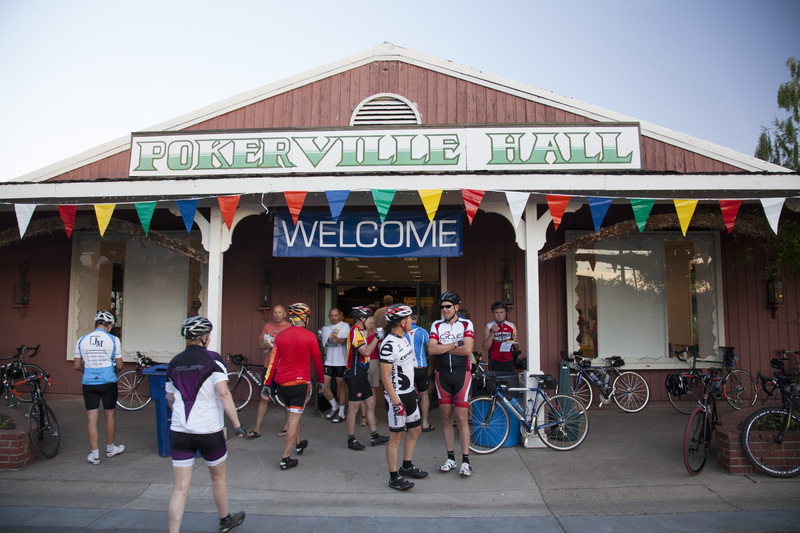 You can pick up your registration packet at the Fairgrounds, Pokerville Hall, either on Friday, April 19, 2019, from 4:00 PM-7:30 PM or on Saturday, the day of the ride, from 6:00 AM-9:00 AM. As part of your registration fee, a continental breakfast of coffee, fruit, and bagels will be available beginning at 6:00 AM in Pokerville Hall. At the conclusion of the ride, all registered riders will be issued a $10 voucher redeemable at a food truck of your choice offering an event special. Three food trucks situated along the promenade at the fairgrounds will provide post-ride meals from 12:00 Noon to 4:00 PM. A dessert truck will also be on the promenade, as will a beer concession operated by the Amador County Fairgrounds Foundation. Post Ride Photos. Riders along the course will be photographed by Captivating Sports Photos. Look for the bright green signs with the clocks along the course. Photos can be searched by Time and Location, so note your time as you pass the green signs with the clocks. Massage services also will be available behind Pokerville Hall after your ride. Both routes are fully supported by rest and water stops, SAG vehicles with HAM radio communication, bicycle mechanics, flaggers, law enforcement personnel and a large corps of volunteers. Overnight Options For the full range of options for places to stay overnight in the Plymouth area, visit the website of the Amador Council of Tourism at www.touramador.com Tent camping and RV camping are also available on the fairgrounds for both Friday and Saturday nights at $25 and $30, respectively, per night. Camping registration at the fairgrounds may be made at the same time as online or mail-in registration, ride check-in, or day of event registration if still available. Where do I go once I arrive? Follow the arrows and signs from the parking lots to Pokerville Hall for registration, breakfast, etc. Map includes locations of bathrooms, showers, etc. 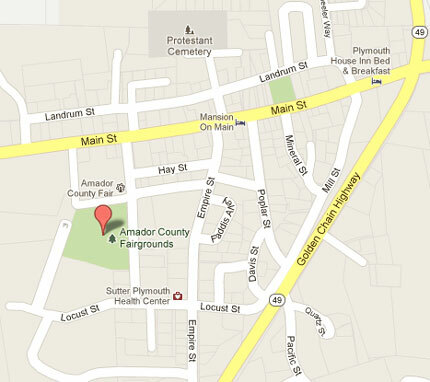 There is plenty of free parking at the Amador County Fairgrounds. Once at the Fairgrounds, enter at either Locust or Empire Streets. 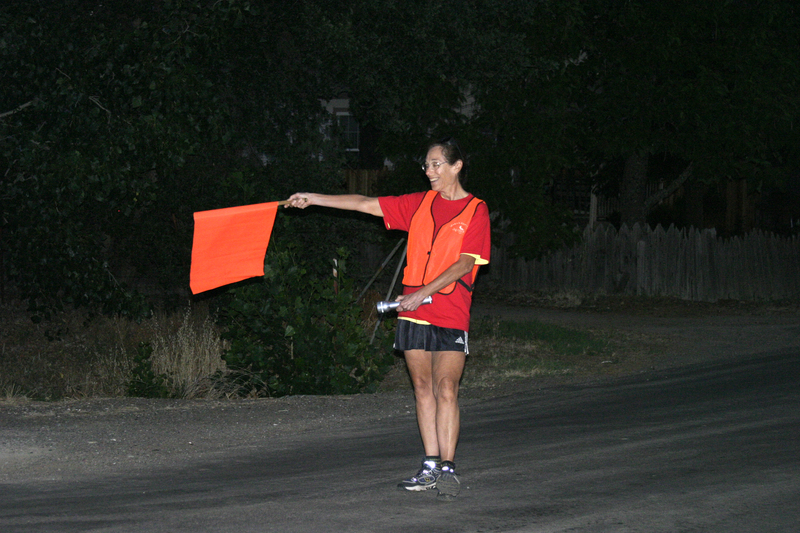 Follow the signs and/or our volunteer flaggers. The metric century route (65 miles) will open at 7 AM, and the 37-mile route will open at 9 AM. If you start earlier, we cannot guarantee the rest stops will be ready on the metric century route. Metric Century riders should be on the course by 8:00 AM. All riders should be on the course no later than 9:00 AM. First Stop - For Metric Century and 37-mile route riders, the first stop in Ione at Mile 20.3 is a full rest stop. This rest stop will have bag drops for returning rider gear to the fairground start. Second Stop - The second stop for the Metric Century is in Volcano at Mile 42. This is also a full rest stop and will have a bag drop. Just follow your route sheets and route arrows as well as any signage along the course to stay on track. There are a total of two rest stops and two water stops available throughout the metric century course. Please refer to your route sheet for locations. Cell phone service is very limited and, in some areas, nonexistent. HAM radio operators will be at Home Base and each Rest Stop to facilitate communications. SAG drivers will also have radios. The Sierra Century event ends at 5:00 PM.